A new body kit and rear diffuser give the exterior a meaner look. There are smaller tweaks inside, too. 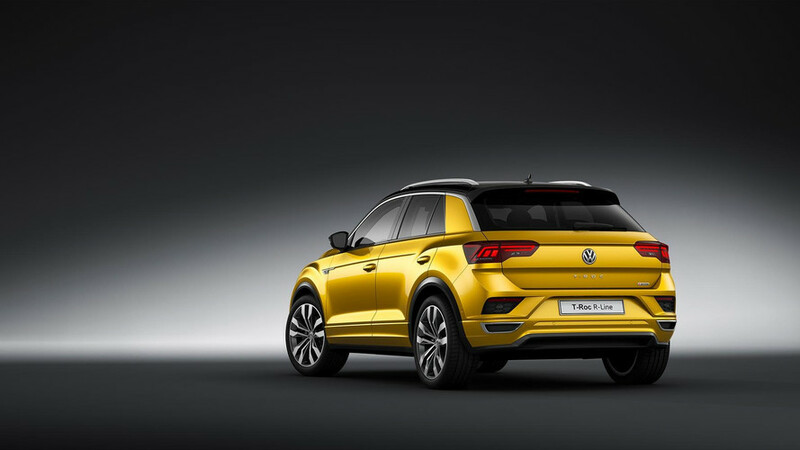 After unveiling the T-Roc in a livestream in August, VW now drops all the details about the upcoming crossover at the Frankfurt Motor Show, including the sporty R-Line variant. 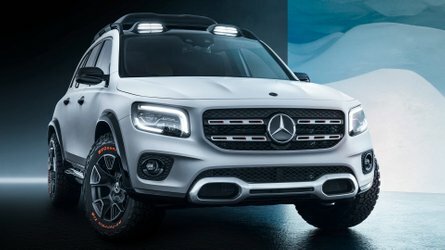 The model goes on sale in Europe in November and finally gives the German automaker an entry in the rapidly growing compact CUV segment. 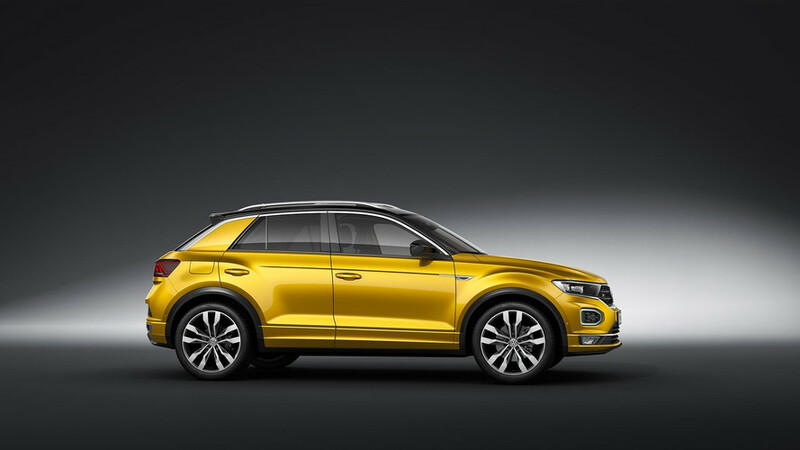 The T-Roc enters the compact crossover segment with a handsome, chiseled appearance. The front features a new take on VW styling by using a wide, hexagonal grille and headlights that attach to it in the corners. For extra style, customers can order the model with a two-tone exterior. 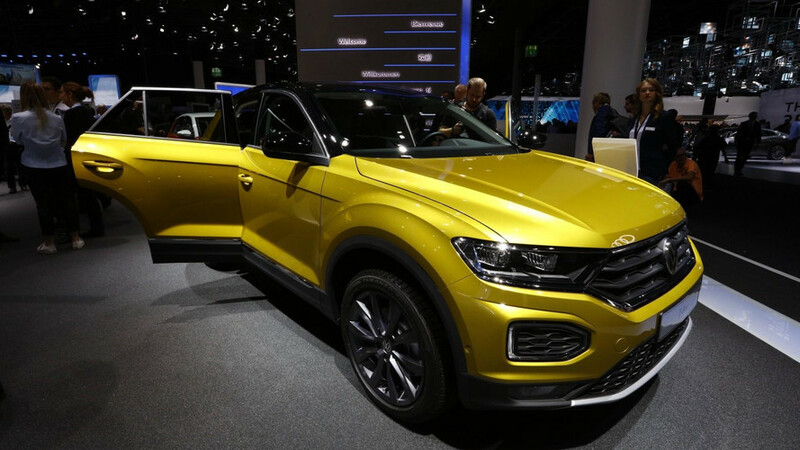 The T-Roc features a colorful cabin, and with the right options, it can be a high-tech place. For example, VW offers a fully digital instrument panel and an infotainment system as large as eight inches. The Comfort pack also adds things like inductive charging for digital devices and a 300-watt stereo. For a more performance-oriented appearance, there are optional R-Line packages for the cabin and exterior. 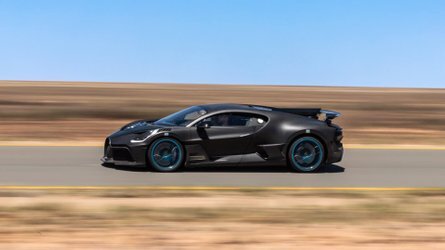 On the outside, the pieces include a revised bodykit with new front and rear bumpers, plus a diffuser at the back. Inside, the upgrades add a black headliner, stainless steel pedal caps, and leather-trimmed steering wheel. T-Roc customers have lots of powertrain choices, too. The gasoline-fueled options include a 1.0-liter TSI with 114 horsepower (85 kilowatts), 1.5 TSI with 148 hp (110 kW), and a 2.0 TSI producing 188 hp (140 kW). The diesel-powered mills comprise a 1.6-liter with 114 hp (85 kW) or a 2.0-liter making either 148 hp (110 kW) or 188 hp (140 kW). Depending on the engine, a six-speed manual or seven-speed dual-clutch gearbox routes power to the front or both axles. 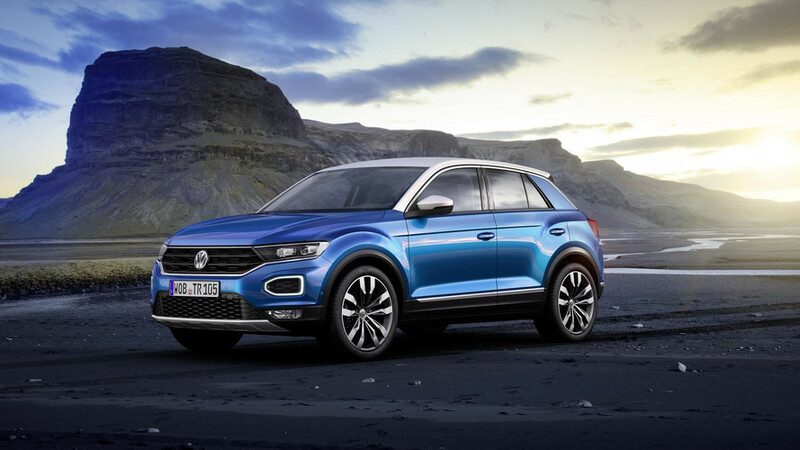 Specific European pricing isn’t yet available for the T-Roc, but VW describes it as an “SUV in the €20,000 segment.” There are currently no plans to introduce the compact crossover to the United States. 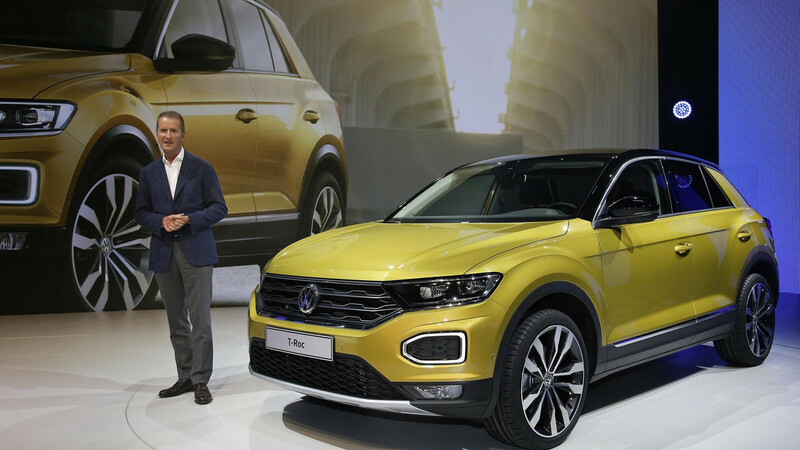 VW intends to put a bigger focus on the crossover segment in the coming years. 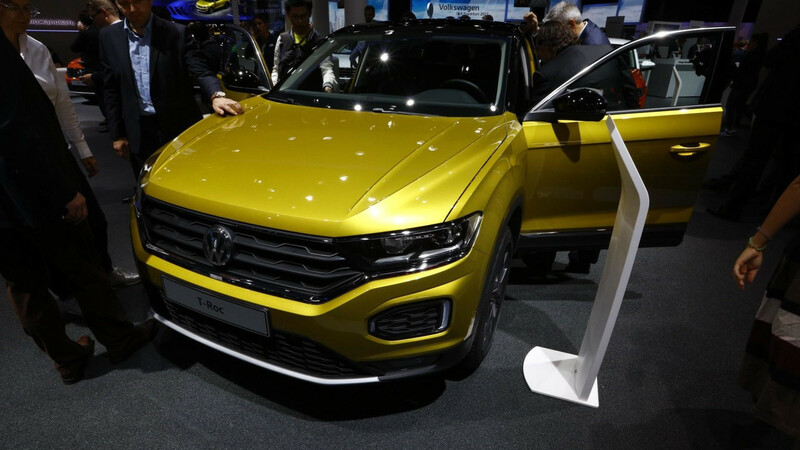 In addition to the T-Roc, the even smaller T-Cross is on the way, and a future generation of the Touareg isn’t far away either. The newly unveiled I.D. Crozz II also points to an electric CUV from the company. strikingly wide front end, concise proportions. 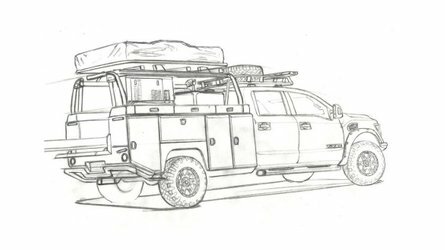 Touareg, the small T-Cross and the electric I.D. CROZZ. outputs ranging from 85 kW / 115 PS* to 140 kW / 190 PS*. all-wheel drive and a 7-speed DSG as standard. compartments in its class (445 litres). much at home in the city as it is on long journeys. above it, came the launch of the Atlas, which was developed for the USA. that even more closely reflects a production model. 6.4 million units today to around 10.6 million units." authentic off-road elements into harmony with dynamism and urban style. as 'the T-Roc'. At the same time, however, it clearly remains a Volkswagen. 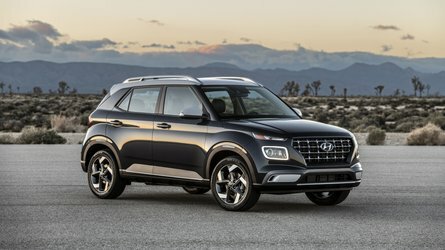 authentic SUV with the new T-Roc. This car shows its underlying dominance. the urban world as it is for great adventures." to implement very dynamic proportions. This is especially true of the new TRoc. track widths of 1,546 mm (front) and 1,541 mm (rear). shift downward into the black plastic surfaces of the bumper. 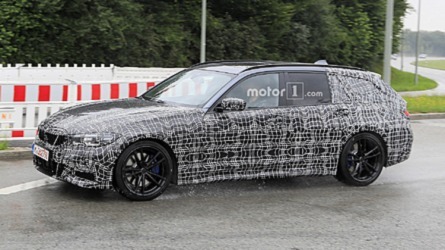 the wheel arches, the side sills and the front and rear body. and a diffuser in the middle. in this class offers such a spacious package. or red ambient lighting may also be on-board. console shares the same colour as the accents found on the dashboard. Discover Media, also glass-encased, comes with a navigation module. storage compartment (with mobile phone interface) in front of the gear lever. bumper. The base version is equipped with 16-inch wheels (‘Yorkville’). included as standard for the ‘Sport’). Blue Metallic' and 'Ravenna Blue'. console are also finished in the selected dashpad colour as standard. traction, and thereby safety, while attaining the best possible fuel economy. can be variably engaged within fractions of a second. setting of off-road parameters) or ‘Offroad Individual’ (variable settings). front-wheel drive, driving profile selection can also be ordered as an option. consists of two glass parts – the largest in the market segment. activated as soon as the driver opens the T-Roc with his or her personal key.